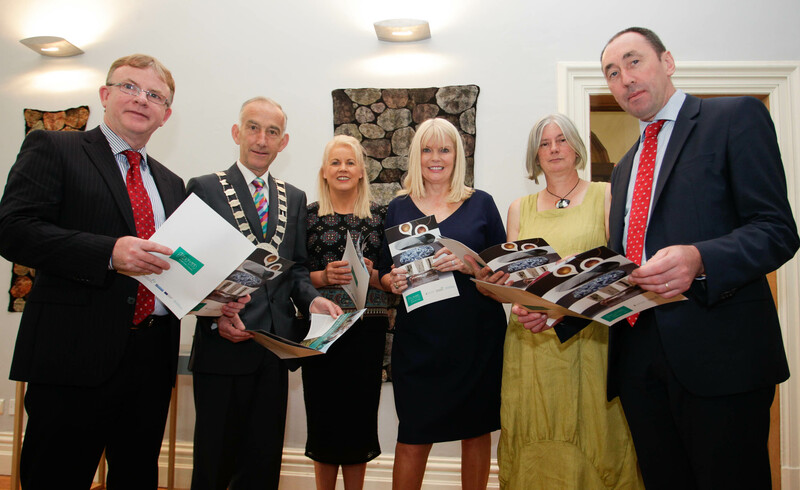 No Repro Fee: Pat Delaney, Head of Finance, Carlow County Council; John Murphy, Cathaoirleach of Carlow County Council; Senator Jennifer Murnane O’Connor; Minister for Jobs, Enterprise and Innovation, Ms. Mary Mitchell O’Connor T.D. ; Nicola Brown, Chair person of FORM; Pat Deering T.D. at the launch of the FORM Exhibition Launch.